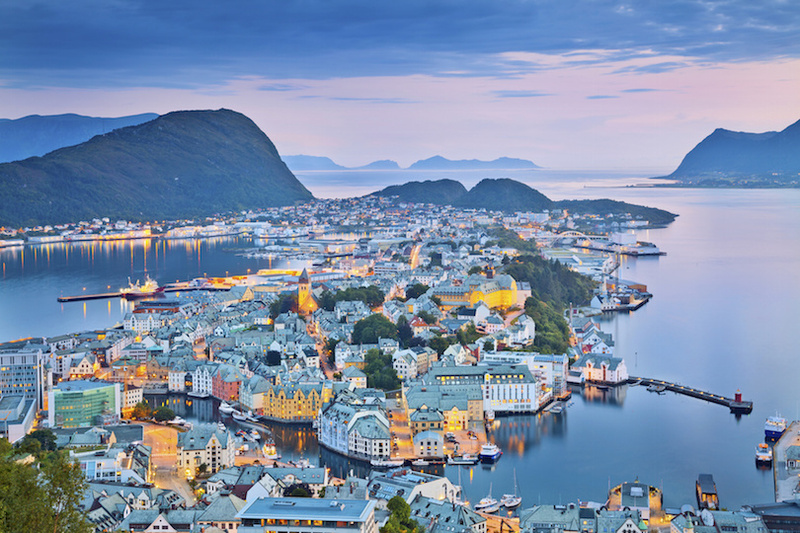 Touropia Travel - From its majestic mountains and famous fjords to its modern yet picturesque cities, Norway is simply one of the most beautiful countries in the world. Picture-perfect landscapes beg to be explored by foot, car, bike or boat. Whether taking in the breathtaking wonder of the northern lights or the summer sun glistening on a massive glacier, Norway is a great adventure in any season. A nation with a rich and storied past, Norway invites cultural expeditions too. Some of the best places to visit in Norway offer architectural gems in rural villages to historical artifacts in metropolitan museums. Located on Norway’s west coast, Ålesund is the gateway to the iconic northwestern fjords and surrounding alpine mountains. The city of Alesund owes its present-day picturesque appearance to a city-wide reconstruction after a fire in 1904 destroyed most of the town. The city was rebuilt with stone and brick in the architectural style of the time, and stands today as a perfect example of Jugendstil design, Northern Europe’s version of Art Nouveau. Visitors can learn more about the style at the Jugendstilsenteret, or Art Nouveau Center. A hike up the 400 steps to the viewpoint Fjellstua is worthwhile as well. The mountain peak offers stunning views of Alesund and the surrounding islands. The largest city in Northern Norway, Tromso is renowned both for its large number of 18th-century wooden houses and for the beauty of its natural surroundings. Most of the city is situated on the island of Tromsoya where visitors can explore several fine museums and stroll through stunning birch tree forests. Trips up Storsteinen Mountain in the Fjellheisen Cable Car offer visitors amazing views of the surrounding fjords and mountains. 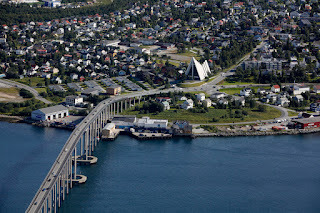 The arctic aquarium Polaria and the Polar Museum are popular attractions in this city located 350 km (217 miles) north of the Arctic Circle. Tromso is one of the best places in the world to view the Northern Lights.